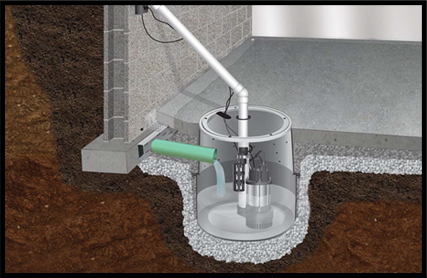 Choosing a contractor for foundation repair or basement waterproofing in the Des Moines, Iowa area can seem like a difficult decision. When you choose Iowa Home Restoration & Repair, LLC, you know you are getting a company that has experience and uses only the best products available for foundation repair, basement waterproofing, and crawl space repair. 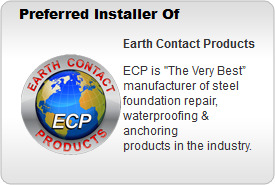 The products we use are manufactured by Earth Contact Products (ECP), the leader in foundation repair and basement waterproofing products in the industry today. We have also added home inspections to our services which includes mold testing and mold inspection. We are affiliated with Angie’s List and Home Advisor and have excellent reviews on both sites. We take pride in the outstanding reputation we have established and we intend to keep it that way. Foundations can sink and settle due to a variety of reasons. One of the main reasons is that the soil in Iowa is expansive soil, which means that it shrinks when it becomes too dry and heaves when it becomes saturated. This constant shifting of the soil will cause your foundation to shift and move, too. 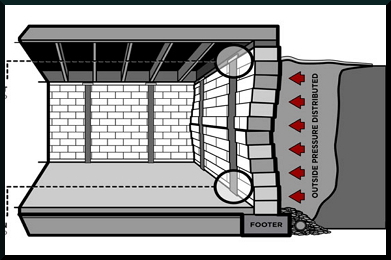 Iowa Home Restoration & Repair has the solution for your foundation repair needs in all of Central Iowa. We use plate anchors and Rhino carbon fiber for to get your foundation stabilized. Water in your basement can cause you to lose personal possessions, living space and is a breeding ground for mold and mildew. This can cause you and your family to have health issues when the mold spores are in the air that your breath. 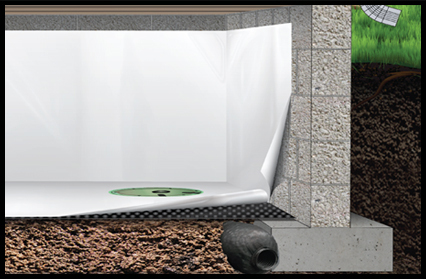 Iowa Home Restorations & Repair has several waterproofing solutions to keep your home dry. Another service that we offer is home inspections. 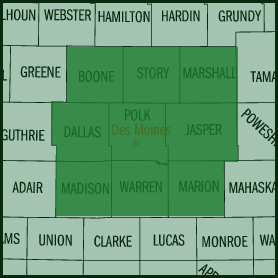 We are located in Des Moines, Iowa and service all of Central Iowa. We will inspect your home for foundation problems and water problems. Our home inspection also includes mold testing and mold inspection. Contact the experts at Iowa Home Restoration & Repair, LLC today for any of your foundation repair, waterproofing or home inspection needs in Central Iowa.